File this in “Long Overdue”. Mike Flynn has been flim-flammed and flambeed. Talk about getting the raw end of the deal. The FBI set him up. Then they conspired against his boss, and tried to get Flynn to drop a dime. 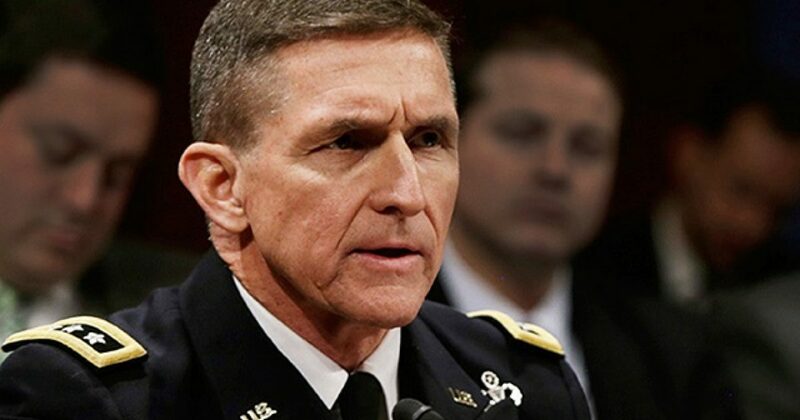 Now that the truth emerges, Flynn looks to get his pound of flesh. And who could blame him. According the Roger Stone of InfoWars, Flynn wants charges dismissed. But the news only gets better for Michael Flynn. Looks to me like Mueller understands that he no longer has a case against Michael Flynn. And that can only mean bad news for the FBI and other Democrats. But let’s see how Adam Schiff and the other Democrat scoundrels try to sell this. When the Democrats are finally made to pay, I hope Flynn files lawsuits against all these scoundrels. I know how much his family has suffered financially. They are mortgaged to the hilt, all because elitists Democrats went on a witch hunt. Don’t think for one second the participants in this Kabuki theater have a care in the world about the sh*t storm they created for Flynn and his family. He went from having access to the most powerful man in the world, to being a complete outsider. President Trump was forced to turn his back on Flynn. It seems the president may finally be able to bring Flynn back into the fold, though not likely the administration. Even if the president doesn’t, the American people should. A decorated 3-star general deserves better than to be railroaded by Democrat ideologues hell bent on destroying Trump, by any means necessary.